The home side went ahead in the 10th minute. The ball from a corner fell to Mane, and his through pass found Shaqiri. The Swiss international’s attempt took deflections off Shane Long and Wesley Hoedt as Saints conceded a bizarre own goal. In the 21st minute, a great challenge from Cedric prevented Mo Salah from making it 2-0. But Saints were caught out from the resulting corner, with Matip heading in Trent Alexander Arnold’s corner. Very poor defending from the visitors, especially from Jannik Vestergaard, who was beaten to the ball by Matip despite the latter being several inches shorter. Salah’s quest for a goal saw him attempt an outrageous backheel in the 43rd minute after a swift counter attack. It didn’t come off, but the Egyptian did get himself on the score sheet in first half stoppage time. Xherdan Shaqiri’s beautiful free kick hit the bar, but Salah was quickest to follow up, and his goal effectively killed any hopes Saints might have had of making a match of this. That was Shaqiri’s last contribution of the afternoon- he was taken off at half time for James Milner. 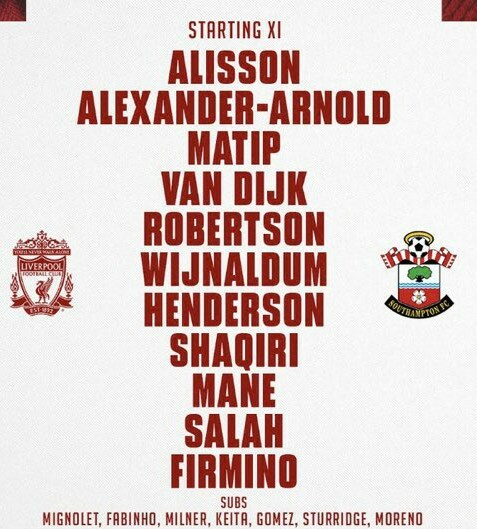 Liverpool reverted to a 4-3-3 after Milner’s introduction, with Firmino again taking up a central role. 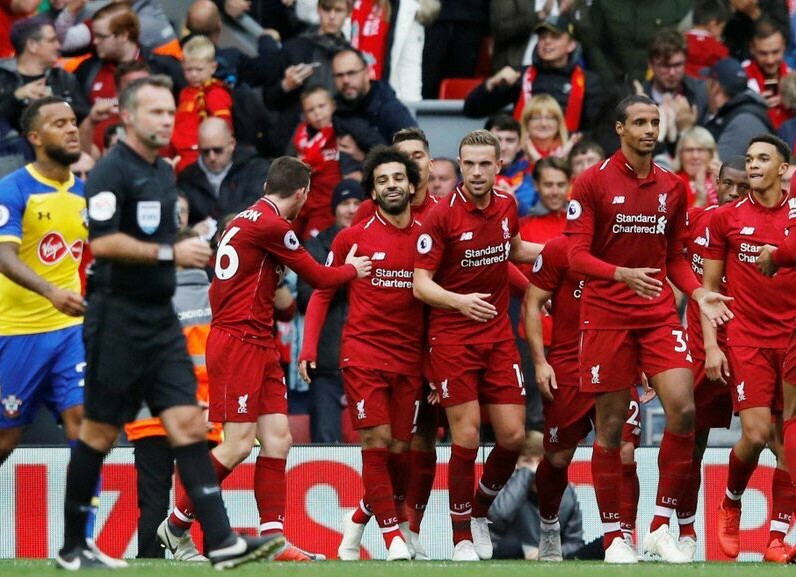 Salah also found the back of the net late in the game, but it was disallowed as Liverpool did not add to their first half tally. This was a game for which both Mark Lawrenson and Paul Merson both got their predictions right- the duo had backed LFC to win 3-0. The only bit of concern for Liverpool fans would’ve been seeing Virgil van Dijk subbed off early in the second half, but Klopp assured that it was merely a precautionary measure and nothing serious.